This expansive and stylish four bedroom apartment is situated in the modern highly sought after Lock House development on Regents Canal. 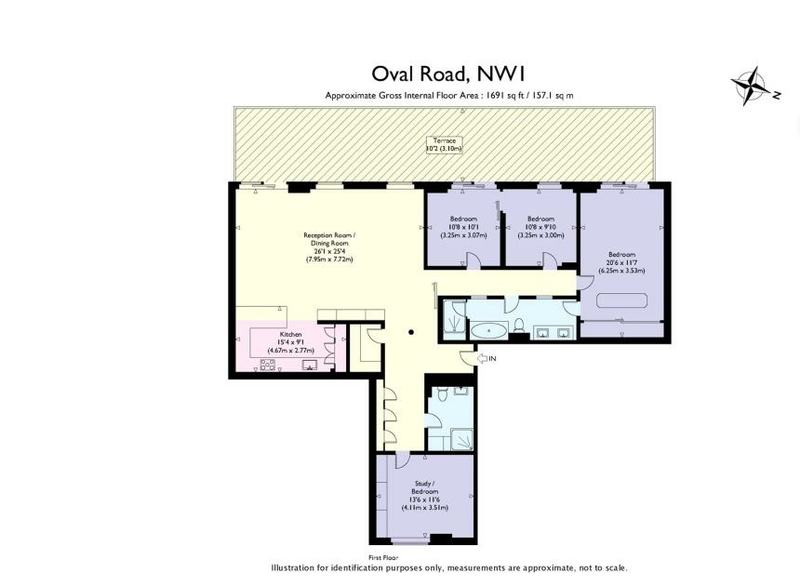 Originally two flats, the 1691sqft floor plan has been cleverly re-designed to provide a large, open-plan living room/kitchen, two large bathrooms and four well-proportioned bedrooms. This truly unique property also features a large 70 sq.ft terrace, underground parking and use of the resident's gym. Lock House, Oval Road, enjoys a well presented communal garden and terrace, residents gym, secure cycle parking, 24 hours porter and communal gas central heating system. Well located for Camden Town, Camden Road Overground Stations and many well-connecting bus routes, such as the 274 and C2. Regents Park and Primrose Hill are within 5 minutes walk, there are also many excellent schools, supermarkets, cafés, restaurants, gastropubs and bars in the local area. Registered Office: 501 Kingsland Road, London, E8 4AU.